Thanks to the closing of Necco (the company that made the candy treat called SweetHearts) Valentine’s Day 2019 will forever go down in history as the one lacking those cute conversational candies. Although Spangler Candy Company has plans to bring the iconic candy back to the market, in the meantime, valentines everywhere are scratching their heads trying to come up with a unique treat. Enter Krispy Kreme. The doughnut company is stepping up to the plate, creating heart-shaped pasties, topped with over a dozen phrases. 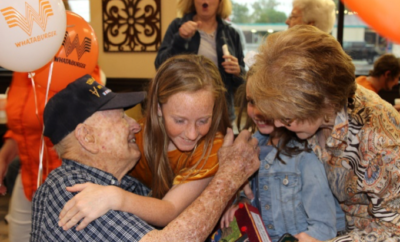 Chairman and CEO of Spangler, Kirk Vashaw, explained to kgun9.com, “Sweethearts and Necco Wafers are iconic brands with rich hundred-year-plus histories. We are particularly excited about the Sweethearts brand. 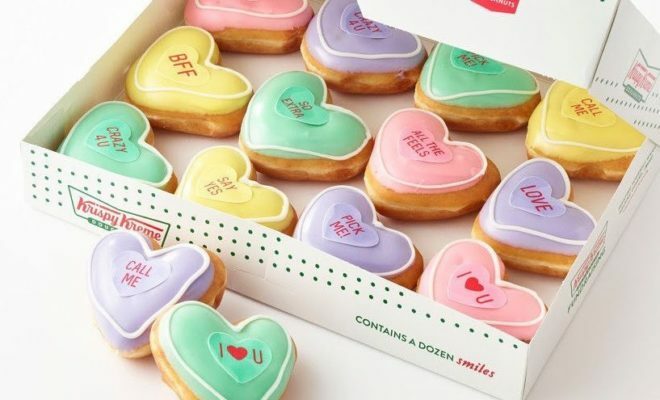 Many people have memories of sorting through their box of Sweethearts to find just the right message to share.” And, while we wait for that euphoria to strike again under the direction of Spangler’s re-release, Krispy Kreme has the right concept to fill the void. 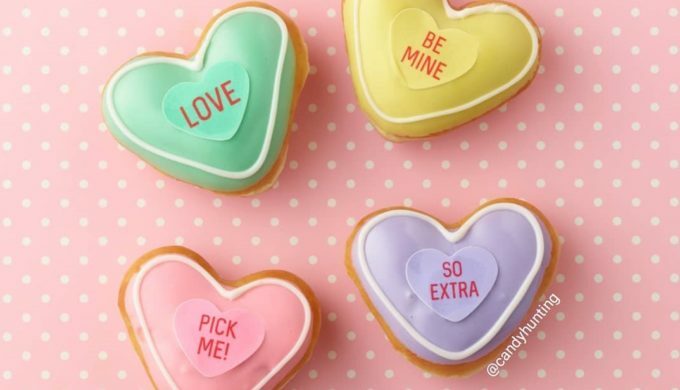 On Wednesday, February 6, 2019, Krispy Kreme rewards members will get a free conversation heart doughnut of their choice with any purchase! If you’re nowhere near a Krispy Kreme, then the next best thing is your local Texas bakery, which is likely to have all things chocolate-filled and covered for your Valentine’s Day needs. It’s the thought that counts… and if you even remember February 14 as a special day, you’re doing better than most!